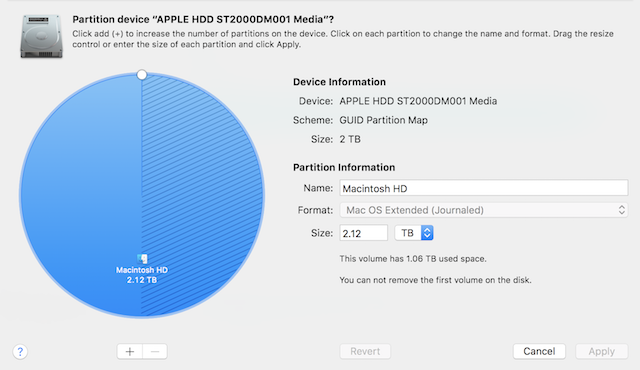 When there are several partitions on your hard drive, and you need one bigger than the other on a particular drive to handle more data in it, you need to know methods to use to resize partitions on Mac. In this article, we'll talk about effective ways to resize the partition on Mac without losing data. Part 2. How to Resize Mac Partition without Losing Data? Bonus: How to Recover Data from a Resized Partition? If you want to resize a partition for your Mac without losing data, there are some rules you need to follow. Ensure you pay attention to these rules for maximum results. The last partition on a drive cannot be increased. However, it can be deleted. 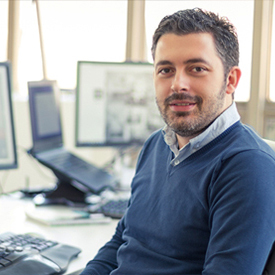 When a particular partition is deleted, the space from it is added to the previous partition. Fusion drives can be quickly resized with the version of Mac Utility Disk used for its creation but not with an older one. Trying to use pie charts to resize a volume is quite difficult to achieve. It is better to use optional sizes rather than using pie chart dividers. If you want to increase a particular volume, then the volume next to the affected volume must be deleted to free up more space. 1How to Resize Mac Partition without Losing Data? Mac Disk Utility is a powerful built-in application in Mac OS that has undergone a series of changes with every major OS update. Many Mac users have complained that using Mac Disk Utility to resize a Mac Volume is no longer easy. However, being an experienced Mac expert, we feel its interface is user-friendly and easy to use. Apple has come up with a well-arranged Mac Disk Utility interface that will make enlarging/resizing of a Mac Volume to be easy. 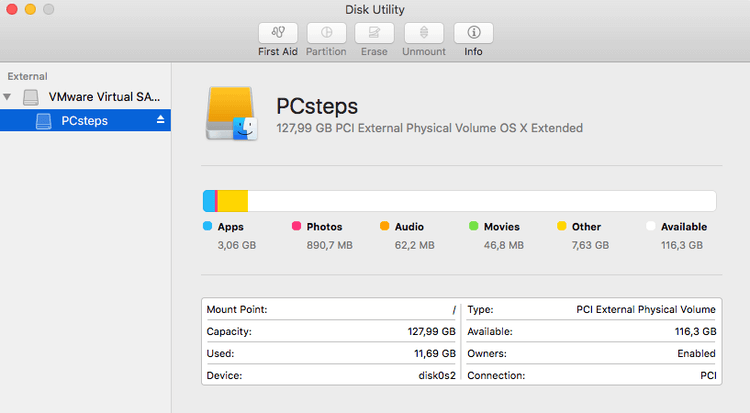 If you want to know to resize Mac partitions using Mac Disk Utility, follow the steps below to learn to do it. Step 1. Navigate through your menu and open Mac Disk Utility. Step 2. When Mac Disk Utility opens, select the drive you want to resize. Step 3. Then select "Partition" on the toolbar to resize the Volume of your choice using the Utility tool. A pie chart will open showing free space and space occupied by each Volume. Step 4. For a volume to be enlarged, another one has to be deleted. So, choose the Volume you want to delete on the pie chart. Step 5. Delete the Volume of your choice and tap the minus icon below the pie chart. The pie chart will give you a warning message about what you've done. Step 6. If you're satisfied, tap "Apply" or tap "Cancel" to delete another Volume. How to Recover Data from a Resized Partition? AnyRecover for Mac is unique software developed by iMyFone team to help Mac users recover data from their disk. With AnyRecover unique algorithm, you can get back your lost files from a resized Mac partitioneasily. Powerful Partition Recovery: Recover all your lost files no matter how they were lost, such as format, resize, accidentally delete, etc. Safe: AnyRecover can recover your files safely without overwriting your exiting files. Download and install the software for Mac. Then launch the software and select the mode (Lost Partition Recovery) according to what you want to recover. Once you've chosen the recovery mode, set the path of data location where you want to get your lost files and select the file types of the data you want to recover. Click the "Scan" button to begin the process. Before you recover the files, you'll have to preview them to be sure that you've selected the right files. Then click the Recover button. Conclusion: Who would have thought that recovering lost files or enlarging Mac partition can be done effortlessly? Well, with AnyRecover for Mac, you can recover all your lost files which are formatted with a 98% recovery success rate. So, when next you're having problems recovering a deleted file, simply go for AnyRecover.